Ancient Egypt is the first major civilization in Africa for which records are abundant. It was not, however, Africa's first kingdom. On 1 Mar 1, 1979, Boyce Rensberger of The New York Times wrote that evidence of the oldest recognizable monarchy in human history, preceding the rise of the earliest Egyptian kings by several generations, has been discovered in artifacts from ancient Nubia. This ancient kingdom, generally called Ta-Seti, encompassed the territory of the northern Sudan and the southern portion of Egypt. Ancient Egypt is the first major civilisation in Africa for which records are abundant. It was not, however, Africa's first kingdom. On 1 March 1979, The New York Times carried an article on its front page, written by Boyce Rensberger, with the headline: Nubian Monarchy called Oldest. In the article, Rensberger told the world that: "Evidence of the oldest recognisable monarchy in human history, preceding the rise of the earliest Egyptian kings by several generations, has been discovered in artifacts from ancient Nubia... The discovery is expected to stimulate a new appraisal of the origins of civilisations in Africa, raising the question of 'to what extent later Egyptian culture derived its advanced political structure from the Nubians?'." This ancient kingdom, generally called Ta-Seti, encompassed the territory of the northern Sudan and the southern portion of Egypt. It has sometimes been referred to as Ancient Ethiopia in some of the literature, and as Cush (or Kush) in other literature. The first kings of Ta-Seti may well have ruled about 5900 BC. During the time of the fifth generation of their rulers, Upper (ie, southern) Egypt may have united and became a greater threat to Ta-Seti. 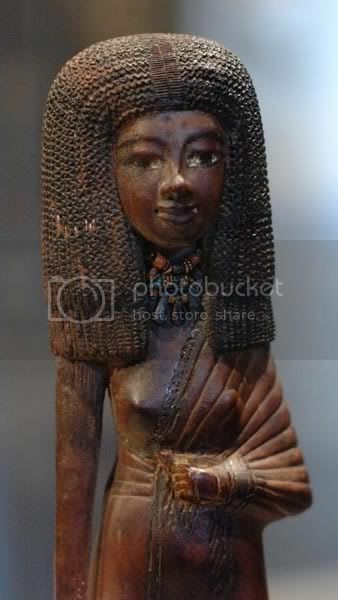 In Kush (or Ta-Seti), a number of women had the title Kentake, which means Queen Mother, and was recorded in Roman sources as Candace. Some of the women were heads of state. 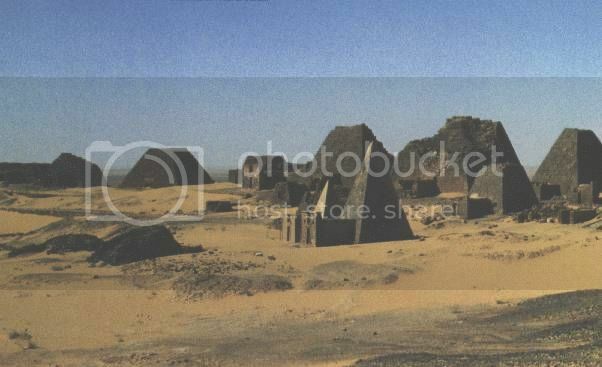 Kentake Qalhata (c.639 BC) had her own pyramid built at Al Kurru, as other Kushite kings did (above photo). 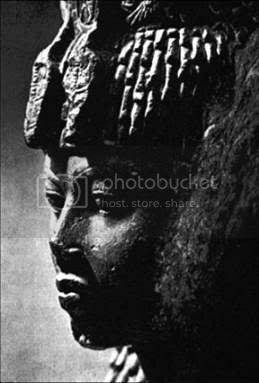 Pseudo-Callisthenes mentions that Alexander the Great visited "Candace, the black Queen of Meroe" in the 4th century. She was apparently a "wondrous beauty". 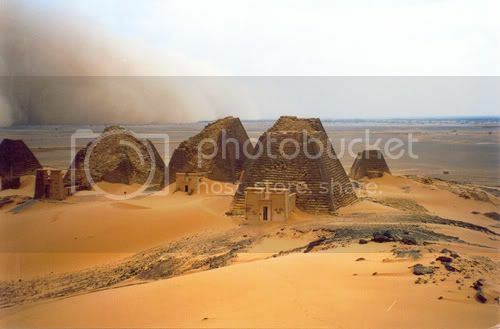 Ancient Cush, the descendent of the present Southern Sudanese and the Nubian of both Egypt and Dongle province of northern Sudan was famous for bravery and its civilization. However, since its collapse, Africa has been vulnerable to foreign invasion and occupation. In 800 A.D., the Arabs flooded northern Africa and later in northern Sudan, forcing the last Nilotic kingdoms to pled south ward. Ta-Seti precedes Kemet [ Egypt] . 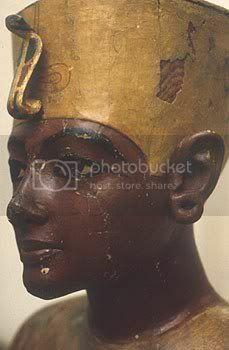 Ta-Seti was also the 1st nome of Kemet. Therefore they can't really be conceived of as either mutually exclusive or contemporaneous entities. Also, in ancient Egyptian, "Nubia" [Nubti] references a city in Ta Shemu [Upper Egypt], and never references any kingdom south of Egypt, nor is it equivelant to Ta Seti. am failing to grasp your second point, are you suggesting that Egyptians used the term nubia exclusively for regions north of abu simbel? Location: Naishi Kwa Duniani Hapa Hapa Tu! Kiyaby, for your information, you are just An African forging your identity to be an Arab, your master. to them, you are just pure slave and nothig all. Nub.t Nubu Nubiu....the golden city, the golden ones, gold miners. A native "Kemetic term" for Kemetic peoples and places. "Nubia" is the apartheid discourse in history. Apartheid in South Africa is the ideology whereby Europeans claim African land. Apartheid in Eurocentric pseudo-history is the ideology whereby Europeans claim ancient Afriacn civilisations. Africans learn this discourse from Europeans. By thinking critically, we can examine the evidence and easily deconstruct the apartheid discourse. Evidence for Endogamy in Ancient Egypt," _Am. J. Phys. Anthropol. 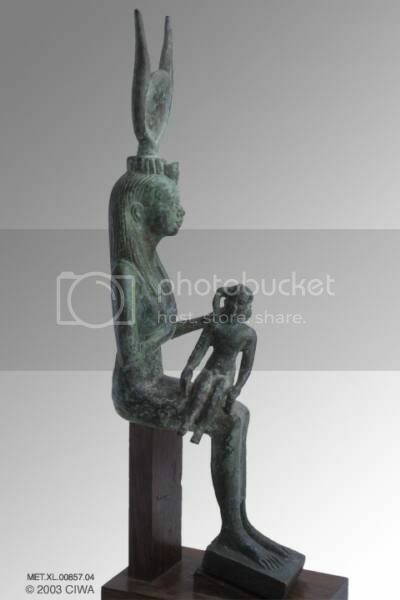 The point is that NO SUCH ENTITY existed in the predynastic period named "Nubia". The entities that DID exist were Ta-Seti, Wawat, Yam, Meroe and Kush, among others. 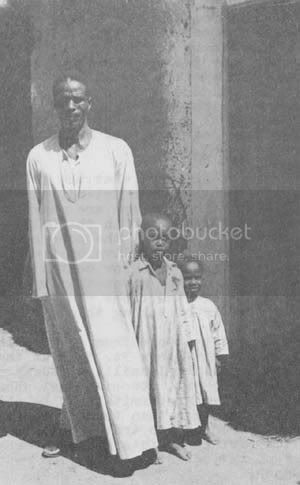 They did not belong to a "Nubia", because "Nubia" implies that they were part of some regional super state, which stretched from the South of Egypt to below the 6th cataract, with a shared governance and culture. They did not because NO SUCH ENTITY existed. If it did then "Nubia" would be the FIRST organized Nation-State on the planet, but it isnt because NO SUCH THING EXISTED. Each of these polities had their own politics, culture and identity and did not identify as "Nubian". Of course, Egypt is the first organized nation state, because it WAS a regional superstate made up of smaller political entities unfied under a single ruling structure. 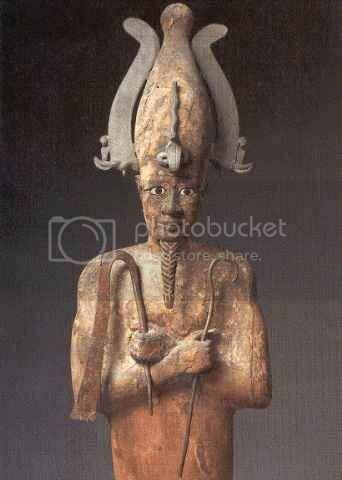 ....the origins of which lie partly in Ta-Seti, 1st nome of Kemet. Last edited by Taseti; 24-May-09 at 03:06.
while Europeans have been able to grasp the idea that Egypt a fair skinned country is able to have arguablly the worlds greatest civilisation nubia at best has been described as a vassel state or an off shoot of ancient Egypt, ignoring evidence that indicates the nubian culture is an indegeniouse one, and at worst "the nubians kings were infact caucasian" according to one early twentieth century archeologist, apparently the civilisation which he incountered was too great to be the legacy of negros. I agree no kingdom existed under the name nubia,it is a reference to the region encompossing the land between khartoum and aswan, and that states were formed with in this region.nubian is a blanket term for the inhabitants of this region but did not denote a state. Kitayabi, let me tell you something that I was telling my mom and so do all southern Sudaness.I asked my dad & mom that why cann't we all fight Northern sudaness & send them to Saudi. 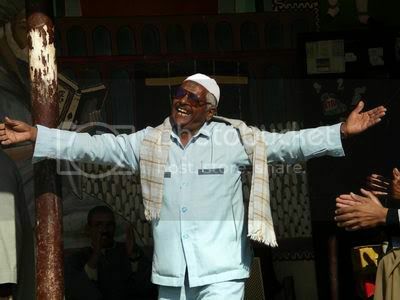 My dad & Mom said that there are no Arabs in Sudan. Just only brainwashed Africans that they are confused with their identity since they were former slaves that used by Egpytian as soldies to protect, defend the territory 4 their own gained in 1800s. to rescue archeological deposits before the rising waters of the Aswan Dam covered them. The significance of the artifacts, which had been in storage at the university's oriental Institute, was not fully appreciated until last year, when Bruce Williams, a research associate, began to study them. "Keith Seele had suspected the tombs were special, perhaps even royal," Dr. Williams said in an interview. "It was obvious from the quantity and quality of the painted pottery and the jewelry that we were dealing with wealthy people. But it was the picture on a stone incense burner that indicated we really had the tomb of a king." On the incense burner, which was broken and had to be pieced together, was a depiction of a palace façade, a crowned king sitting on a throne in a boat, a royal standard before the king and, hovering above the king, the falcon god Horus. 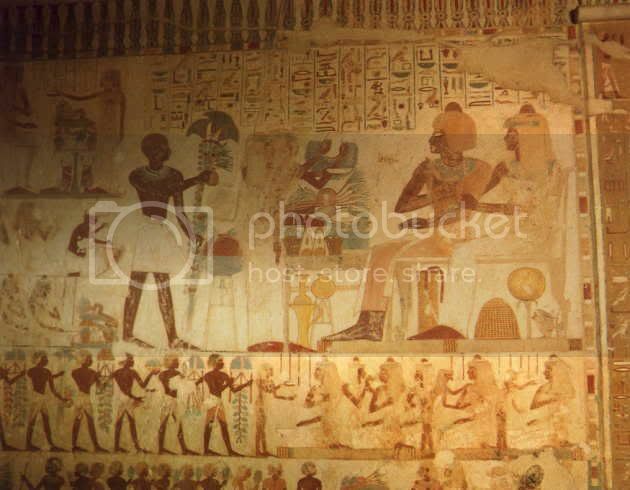 Most of the images are ones commonly associated with kingship in later Egyptian traditions. The portion of the incense burner bearing the body of the king is missing but, Dr. Williams said, scholars are agreed that the presence of the crown in a form well known from dynastic Egypt and the god Horus are irrefutable evidence that the complete image was that of a king. 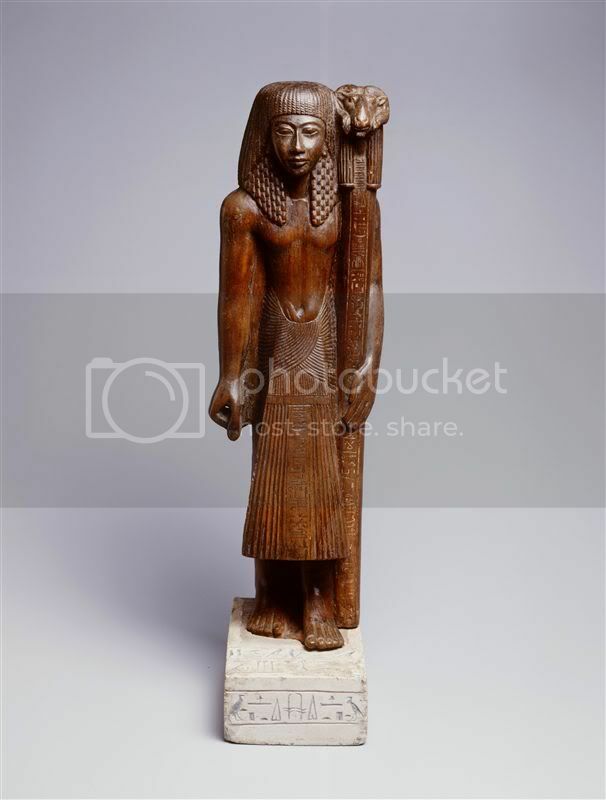 The majestic figure on the incense burner, Dr. Williams said, is the earliest known representation of a king in the Nile Valley. His name is unknown, but he is believed to have lived approximately three generations before the time of Scorpion, the earliest-known Egyptian ruler. Scorpion was one of three kings said to have ruled Egypt before the start of what is called the first dynasty around 3050 B.C. "They were on their way to literacy," Dr. Williams said, "probably quite close to Egypt in this respect." He said it was not known what the ancient Nubian civilization was called at the time but that he suspected it was Ta-Seti, a name known from Egyptian writings that means "Land of the Bow," referring to the weapon which, apparently, was deemed characteristic of peoples in that part of Africa. Dr. Williams said there were accounts in later Egyptian writings of the Egyptians attacking Ta-Seti some time around 3000 B.C. 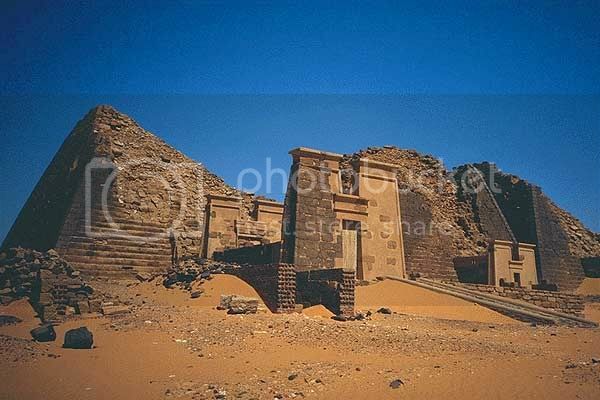 This is just about the time, according to the archeological record, when a major cultural transformation began in that part of Nubia. Little is known of what was happening in this region between 3000 B.C. and 2300 B.C. when inhabitants were unquestionably governed by separate chiefdoms. Their descendents, he suggested, may have developed the Sudanese Kingdom of Kush, based in Kurma, Egyptians for sovereignty and, in fact, prevailed over them for a while. “3800-3100 B.C. 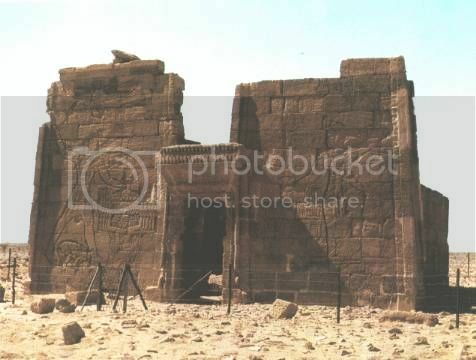 Qustul: The oldest tombs of a pharaonic type are found in Nubia (Kingdom of Qustul), and these thirty-three A-Group tombs appear in Nubia before the dynastic period. Cemetery L at Qustul, which is a small cemetery containing unusually large and wealthy tombs of A-Group. It was in one of these graves, "L-24" coded by the excavators, that the mysterious incense burner came to light. An incense burner with figures and pictographs gouged deep into the clay. This censer had been found, not in Egypt, but nearly 200 miles deep in Nubia. The inscription showed three ships sailing in procession. The three ships were sailing toward the royal palace. One of the ships carried a lion - perhaps a deity. The central boat carries the king, sitting and equipped with long robe, flail and White Crown. All motifs that would later become symbols of Pharaonic rule in Egypt. 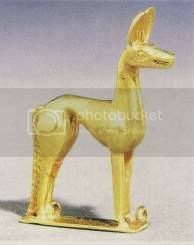 This piece had been made no later than 3400 B.C. At that early date, there were not supposed to have been any such things as pharaohs or pharaohs' palaces. The discovery of the Qustul Incense Burner is considered one of the earliest certifiable uses of incense by a culture. This Qustul burner also rose a debate regarding the Nubian origin of Egyptian civilization. Upon the Incense Burner is a relief of a royal procession considered by many archeologists as evidence of the worlds first monarchy. This debate maintains that Nubian culture often referred to as Ta-seti, developed as early as 7000 B.C. forming the source for Egyptian Pharonic culture, as well as its religious system. However, Egyptologists all agree that the bounty of the lush Nile Valley was instrumental to the luxuriant flowering of Ancient Egypt. 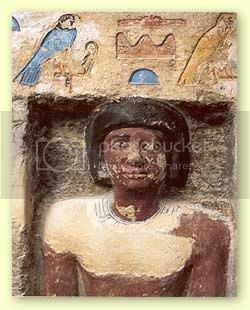 Taseti, you are one of the few that digging in the history. By the way, are you majoring in history? well done. go for it. Mogila, I implore you to cease with these senseless, off-topic and potentially upsetting issues. I want to discuss our ancient history, amicably. "Nubia" was a term coined by the Romans to describe the region south of Egypt. The Egyptians themselves have NEVER used that term but specifically list the various polities or peoples who lived in the region. It is likely that the Roman's word "Nubia" is derived from the Egyptian word "nub" meaning gold, as the areas south of Egypt is very much rich in that metal. 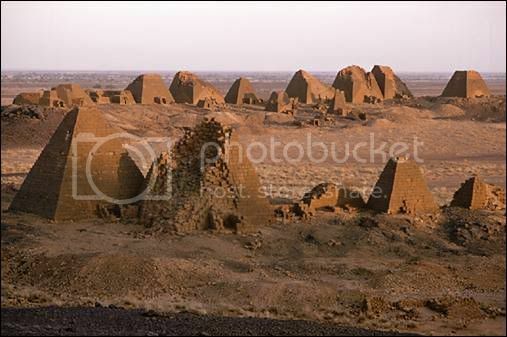 However, the closest thing to "Nubia" the Egyptians used was Nubti which was a city in Egypt. Once again spelling it out: The idea of "Nubians" as a distinct "race" of Black Africans mysteriously loitering about Ancient Egypt is a critical propaganda device for Eurocentrism. It allows them to explain away anything in Kemet that is irrefutably African or obviously Black - as Nubian and therefore not Egyptian. Obversely, anything of value that is "Nubian" - is just as easily reclaimed as Egyptian - and therefore non African, and non Black. First you back the victim into a corner - then you steal his positions. 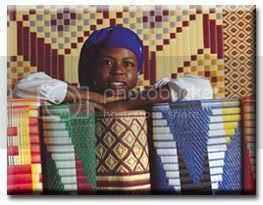 * Everything African or Black is called Nubian. * Everything Nubian that is of value is called Egyptian. * Therefore nothing of value is African or Black. This game of cat and mouse is even played with the Qustal incense burner. Time to stop being bamboozled by "nubianology". Last edited by Taseti; 24-May-09 at 03:44. The very act of repeating after their racial dialectic, which is based on their root assumptions, is to be defeated by it. Also, there was an important city in Upper Egypt called Nubti or the "Golden City" which was the original "Nubia" and perhaps the only place that the Egyptians designated as "Nubia". Until students of African history move beyound parrotings of the Eurocentric-racist world view our understanding will remain permenanently arrested in a quagmire of conformity to senseless dialectics. Yes, brother Kali, Ta-Seti will rise again! - Ta-Seti "A-group" polity was amongst the discrete polities [e.g. Nagadan polities] along the lower Nile Valley, in 'predynastic Egypt'. - There was no "Egypt" prior to unification into the single highly-structured and centralized Dynastic Egyptian nation. - No nation of "Nubia" has ever existed - it is a Eurocentric corruption and misusage of a Nile Valley term, "Nubt" - presumably somewhere in upper Egypt. - Ta-Seti, like other regions north of it, were eventually brought under a single unified and centralized "Dynastic" Egypt, and hence, what was Ta-Seti became part of Dynastic Egypt on the onset of the nation state. - There were other polities beyond the reach of A-Group Ta-Seti, but the most notable amongst these was Yam, and/or the pre-cursor [Kerma] of Kush. 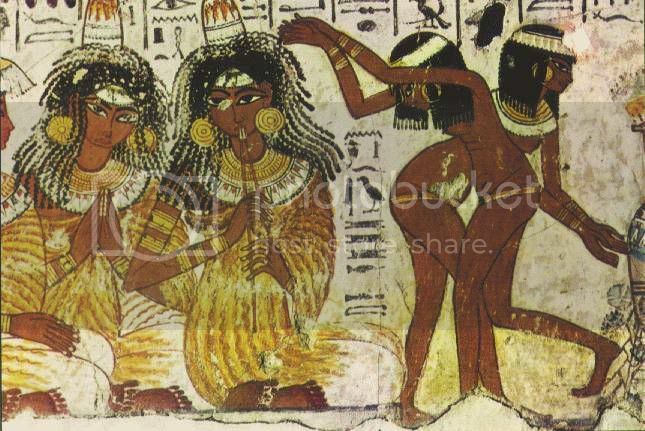 The Ancient Egyptians [ Kemetians] and the "Nubians" were one people; thus ancient Egypt as well as Ta-Seti are legacies of northern Sudanese. Your parents are among the many Africans who do not know any thing about the world. Africans are still far more behind, and will possible take the next 2,000 years for them to catch up with the world. 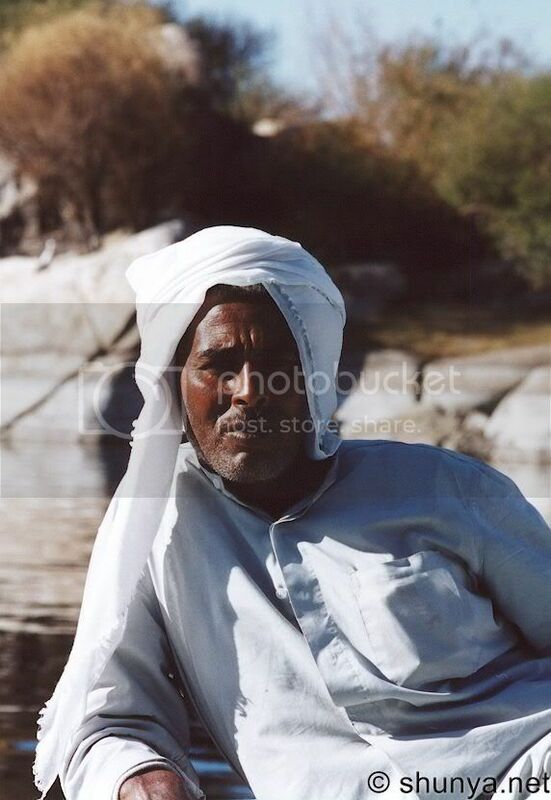 Any way, the Arabs of Sudan are real Arabs. 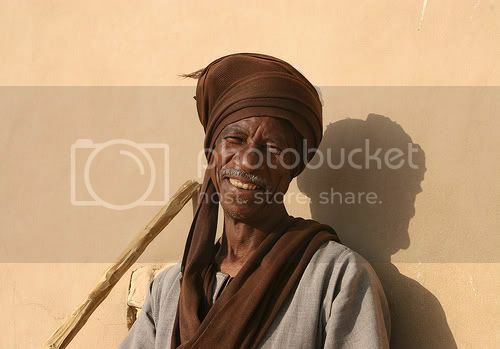 The Arabs belong to a branch of a greater white race known as afro Asiatic. 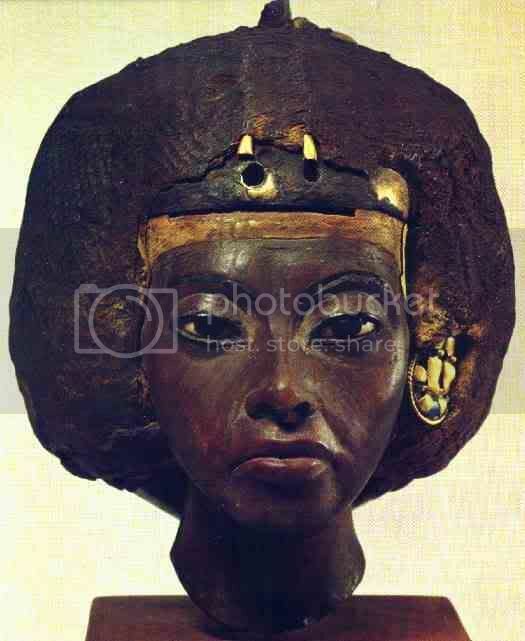 They afro Asiatic left Europe in 10,000 B.C. to populate the Middle East, however, in 3000 B.C. long after the establishment of the Egyptian kingdom, they afro Asiatic invaded and conquered Egypt. Africa must united to fight these monsters and bit them back not to Middle East, but to Europe which is actually where they where originated. They Asians whom Middle East belonged to them must joint Africans in the fight. Regarding the pictures they posted, most of them are fax; they were made for economical purpose. They lack credibility. "The middle east" is a fictitious historical entity. It was invented by the British, with the esoteric geopolitical purpose of preventing Iran from claiming the rights to its own oil. It is meant to describe and legitimize a zone of European political influence. Before the British invented this term in the early 20th century - there is no reference to "The middle east" anywhere in the world. Nor is there an equivalent term, or conception. The term is completely non-native, unnatural, and superimposed upon non European people for the primary purposes of sublimating there native identities and interest. Therefore, to speak of the "racial" history of the middle east is to surrender to Eurocentric brainwashing. It is a discourse rooted in nonsense, and bounded by the constructs of Eurocentric racists. The consequence of Africanists who repeat this conception is to serve the interest of Eurocentrist. As long as we remained pinned down discussing the world in terms of a Eurocentric ideology of "race" and "The Middle east", then Eurocentrist prevail because they keep the conversation stalemated. A stalemate always serves the interest of protectors of the status quo. For a territory to be distinctive from the others, it must have some meaningful particularities or at least some common characteristics. When considered on the basis of these criteria, there is no region called the Middle East. The term has a function and considered from this point, the region called the "Middle East", in fact, meant Britain's, and now American's Zone of Interest. "The Middle East" is the only ad hoc term listed. Ad hoc means -> Existing to serve a singular, specific and often ulterior purpose. "The Middle East" is not a Nation-State from 10,100,1000, 10,000 years ago, so your comment is non-sequitur. Last edited by Taseti; 24-May-09 at 07:59. West Asia is another name for that region currently called the Middle East. Greek used to call it Mesopotamia. One thing that makes it special is the fact that it was the first outside Europe to be settled by the Europeans (currently the Arabs, Assyrians, Somalis, etc.) 10,000 years ago. And please, please, do not isolate your self from the Europeans. Arabs, your ethnic community is part of the greater white race known as the Caucasoid, a race which brings all those of the Europeans origin together. Last edited by Nguet; 24-May-09 at 08:50. The term Semite was first proposed for the languages related to the Hebrew by Ludwig Schl&ouml;zer, in Eichhorn’s Repertorium, vol. VIII (Leipzig, 1781), p. 161. Through Eichhorn the name then came into general usage (cf. his Einleitung in das Alte Testament (Leipzig, 1787), I, p. 45. He also used it in his Gesch. der neuen Sprachenkunde, pt. I (G&ouml;ttingen, 1807). Joseph H.Greenberg, one of the earliest European linguists to work in Africa was the first to identified five different branches of the Hamito-Semitic (now called Afro-Asiatic) group of the African languages: Cushitic, Egyptian, Berber, Chadic and Semitic. Given that those languages were so obviously interrelated it was assumed by colonial scholars of Europe that the relationship of these languages stemmed from Caucasian invaders into Africa from the Middle East. Greenberg’s research contradicted this assumption. A critical reading of genetic data analyses, specifically those of Y chromosome phylogeography and TaqI 49a,f haplotypes, supports the hypothesis of populations moving from the Horn or southeastern Sahara northward to the Nile Valley, northwest Africa, the Levant, and Aegean. See S.O.Y. Keita, History in the Interpretation of the Pattern of p49a,f TaqI RFLP Y-Chromosome Variation in Egypt: A Consideration of Multiple Lines of Evidence, American Journal of Human Biology 17:559–567 (2005). The geography of the M35/215 (or 215/M35) lineage, which is of Horn/East African origin, coincides with the range of Afro-Asiatic languages. Underhill speculated that this lineage might have been carried from Africa during the “Mesolithic”. Last edited by Taseti; 24-May-09 at 09:19. Force Africans into narrow stereotypes. Imply that anything that does not match such stereotypes is not truly "African". When confronted with the anthropological fact that Africans have never been constricted to morphological stereotype - simply imply that the original African population wasn't really African - and pretend to ignore the blatant contradiction implied. The game is foolish, but is played because some still buy into it. Your comments continue to reflect your inability to communicate at an intelligent level and the resultant need to resort to blatant class-clown trolling out of frustration. The ancient Greeks had NO concept of a "Middle East", which encapsulated Western Asia, Central Asia, and North Africa. "Mesopotamia" is simply a loosely defined region, named by Europeans [Greeks] who are not even native to the region. The "Middle East" is an utterly fake political construct created by the British in order to denote areas the British coveted and to avoid assigning those areas to native peoples. The "Middle East" is the name given to a "zone of interest" and it implies an appetite which has no sense of getting full. The more the appetite grows, the larger the region becomes. According to linguists, the Afro-Asiatic language family itself - which includes Ancient Egyptian and all semitic languages, originated in either what is now Ethiopia or Eastern Sudan. These languages as well as Nilo-saharan languages extend up the nile valley through southern Sudan, Ethiopia and into southeastern Africa as far south as Tanzania, into central Africa, and back through west Africa as well. 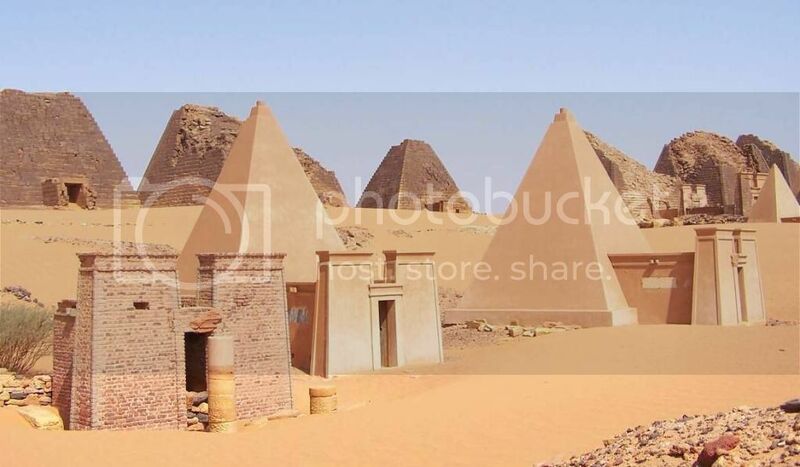 "One of the interesting aspects of the Nabta center is its possible role as a contact point between the early Nilotic Neolithic groups with their agricultural economy and the cattle pastoralists in tue Egyptian Sahara. The functional Separation of these two different economies may have played a significant part in the emergence of complexity among both groups. The evidence for Nilotic Egyptian influence on Saharan pastoralists is not extensive and is presently limited to Late Neolithic ceramic technology, occasional Shells of Nile species, and rare stones from tue Nile gravels. Another way of exploring this is by examining those aspects of political and ceremonial life in the Predynastic and Old Kingdom that might reflect impact from the Saharan cattle pastoralists. 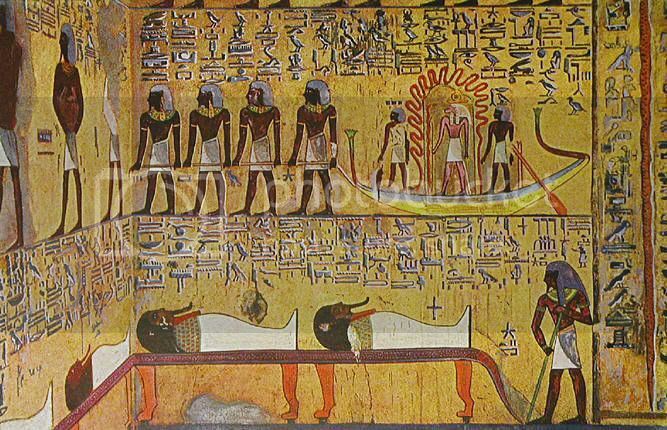 In this we have been preceeded by Frankfort (1978: 3–12) who, in his major study of Egyptian and Mesopotamian religions and political systems, argued that the Egyptian belief system arose from an East African substratum and was not introduced from Mesopotamia. were deified and regarded as earthly representatives of the gods. A cow was also seen as the mother of the sun, who is sometimes referred to as the "Bull of Heaven." The Egyptian pharaoh was a god (similar to the Shilluk king, and not an intermediary to the gods as in Mesopotamia). He was the embodiment of two gods, Horus, for Upper Egypt, and Seth, for Lower Egypt, but he was primarily Horus, son of Hathor, who was a cow. Horus is often depicted as a strong bull, and images of cattle are prominent in Predynastic and Old Kingdom art; in some instances the images of bulls occur with depictions of stars, a concept that goes back to the Predynastic (Frankfort 1978: 172). Dead pharaohs were sometimes described as the Bull in Heaven. Another important Old Kingdom concept was Min, the god of rain, who is associated with a white bull, and to whom the annual harvest festival was dedicated. It is interesting to note that the emphasis on cattle in the belief system of the Old Kingdom is not reflected in the economy. While cattle were known and were tue major measure of wealth, the economy was based primarily on agriculture and small livestock—sheep and goats. Frankfort saw this emphasis on cattle as an indication that the Old Kingdom beliefs were part of an older stratum of East African concepts. It seems likely, however, that had Frankfort known that cattle pastoralists were in the adjacent Sahara several thousands years before the Predynastic, he would have seen the Western Desert cattle pastoralists as the more likely source for the Old Kingdom religious beliefs than the East African pastoralists. Moreover, that cattle were not important among the preceding Neolithic in the Nile Valley suggests that the Old Kingdom belief system was imposed from outside, perhaps in the traditional fashion, a conquest by pastoralists who periodically come in from their "lands of insolence" to conquer farmers. It is tempting to suggest that the impressive cattle burials at the A-Group site of Qustul (Williams 1986), in Egypt south of Abu Simbel, may relate to just such an event." Last edited by Taseti; 24-May-09 at 14:42. These monoliths were made of sandstone that had been split away from its original source, and then chipped into a sculpted form. They range in weight from tens of kilograms up to many tons. They were all originally sunk into the ground facing northwards, towards the area of the sky where the stars never die, i.e. where they never disappear from the firmament. This is where the oldest known Egyptian beliefs, as preserved in the Pyramid Texts, maintained that people went after their death. Each group of Nabta Playa stelae most likely symbolized the souls of the deceased from an individual herdsman clan, with the smaller clusters representing specific extended families, just like at the Gebel Ramlah cemeteries. In recent years, the expedition has discovered a massive kurgan in the Nabta Playa lake basin, towering over the fields of stone monoliths, now destroyed by the desert winds. Its small burial pit was found to contain the head of a child 2.5 to 3 years old, undoubtedly the offspring of a powerful ruler of the Nubian Desert about 3,500 years BC, just prior to the establishment of the first Egyptian state. We already know that soon after this date, drought forced the herders to abandon these lands. Digging deeper and deeper wells proved insufficient, and people had go elsewhere in search of water. And so where might they have gone, if not to the relatively close Nile Valley? They brought with them the various achievements of their culture and their belief system. Perhaps it was indeed these people who provided the crucial stimulus towards the emergence of state organization in ancient Egypt. 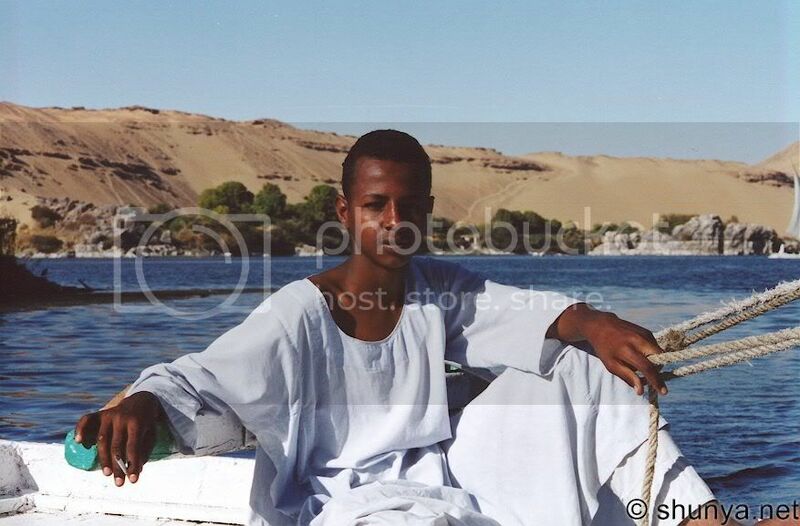 Nabta Playa was once a large lake in the Nubian Desert, located 500 miles south of modern day Cairo. By the 5th millennium BC the peoples in Nabta Playa had fashioned the world's earliest known astronomical device, 1000 years older than but comparable to Stonehenge. Research shows it to be a prehistoric calendar that accurately marks the summer solstice. Findings indicate that the region was occupied only seasonally, likely only in the summer when the local lake filled with water for grazing cattle. You will not go to Saudi; instead, you will go to Europe. That is where you were originated before you went to west Asia in 10,000 B.C. 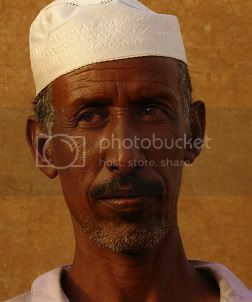 The people that refer you as fax Arabs are foolish and dumb Africans; smart and intelligent Africans know who you are. As usual you babble on in the absence of evidence, logic or reason which just makes it appear as if you are trolling. Unfortunately for you, all the the evidence from anthropological remains to genetics shows that it was the opposite. Africans expanded out of Africa during the Mesolithic and into Western Asia and the Aegean. You have a very clear emotional investment in your beliefs and are willing to go to very great lengths, tormenting logic and reason in the process, to maintain this affront to history. WE HAVE NO ANTHROPOLOGICAL EVIDENCE OF BACK-MIGRATIONS INTO AFRICA. The whole fossil record of the Nile Valley, as scanty as it is, show remains of tropically adapted populations. Last edited by Taseti; 26-May-09 at 02:56. Like many anthropologists, I do not believe in out of Africa. Each of the three races were originated in their respective continents. All "racial" rhetoric ultimately depends upon such mindless repetition of irrational dogmas. It is precisely because human beings are not divisible by science into objective discrete sub groups that all such references must be subjective. Indeed, the concept of race, which is itself a misrepresentation of biology is in part culpable for this mis-representation, and never has been and never will be able to provide resolution. "Race" in anthropology is a dead end debate. b)CITE them on their own admission in their belief in the "existence" of discrete "human races"
d)Show us that the above work, has reached a consensus of approval within the Scientific community! What distinctive genes separate one human "race" from another one. Lay out their names and demonstrate how they are confined to a single "race", which is to be named, along with the groups involved in that "race". The out of Africa theory is only disputed by non-geneticists, whose view is rooted in their frustration of realising that humanity as a whole originates from Africa. These pseudo-scholars simply exploit ignorance, and attempt to confuse the issue. Since genetics is non trivial, they at times succeed in sowing confusion. (May 10, 2007) — Researchers have produced new DNA evidence that almost certainly confirms the theory that all modern humans have a common ancestry. The genetic survey, produced by a collaborative team led by scholars at Cambridge and Anglia Ruskin Universities, shows that Australia's aboriginal population sprang from the same tiny group of colonists, along with their New Guinean neighbours. Until now, one of the main reasons for doubting the “Out Of Africa” theory was the existence of inconsistent evidence in Australia. The skeletal and tool remains that have been found there are strikingly different from those elsewhere on the "coastal expressway" – the route through South Asia taken by the early settlers. Dr Toomas Kivisild, from the Cambridge University Department of Biological Anthropology, who co-authored the report, said: “The evidence points to relative isolation after the initial arrival, which would mean any significant developments in skeletal form and tool use were not influenced by outside sources. (July 19, 2007) — New research published in the journal Nature (19 July) has proved the single origin of humans theory by combining studies of global genetic variations in humans with skull measurements across the world. The research, at the University of Cambridge and funded by the Biotechnology and Biological Sciences Research Council (BBSRC), represents a final blow for supporters of a multiple origins of humans theory. The Cambridge researchers studied genetic diversity of human populations around the world and measurements of over 6,000 skulls from across the globe in academic collections. Their research knocks down one of the last arguments in favour of multiple origins. The new findings show that a loss in genetic diversity the further a population is from Africa is mirrored by a loss in variation in physical attributes. Lead researcher, Dr Andrea Manica from the University's Department of Zoology, explained: "The origin of anatomically modern humans has been the focus of much heated debate. Our genetic research shows the further modern humans have migrated from Africa the more genetic diversity has been lost within a population. The research team found that genetic diversity decreased in populations the further away from Africa they were - a result of 'bottlenecks' or events that temporarily reduced populations during human migration. They then studied an exceptionally large sample of human skulls. Taking a set of measurements across all the skulls the team showed that not only was variation highest amongst the sample from south eastern Africa but that it did decrease at the same rate as the genetic data the further the skull was away from Africa. To ensure the validity of their single origin evidence the researchers attempted to use their data to find non-African origins for modern humans. Research Dr Francois Balloux explains: "To test the alternative theory for the origin of modern humans we tried to find an additional, non-African origin. We found this just did not work. Our findings show that humans originated in a single area in Sub-Saharan Africa." Last edited by Taseti; 26-May-09 at 07:28. Thanx Taseti for clarifying so much stuff to my puzzled mind about the concoction of Sudan. I'm sorry to see some fellows here trying to spill their racial guts over here. Civilizations MUST confront each other.. THIS IS THE MANKIND NATURE.. Arabs - with consensus or unwillingly-ade their step in Sudan to find acceptibilty amongst the local natives. In Africa, we understand that Lions can not imitate Baboons.. Simply: The powerful makes his own cultures dominant over others. This point illustrates that nubian civilization was emptied of its power to the extent that it couldn't resist the newly coming culture of Arabs. Thank you for your contribution, brother MakilNeem. 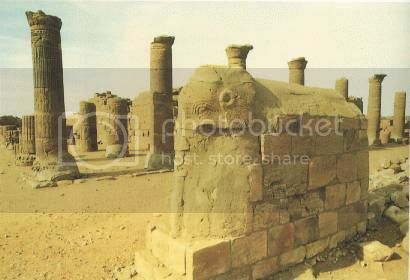 "Nubia" is an African word, but the concept of "Nubia" as a distinct geographical/ethnical region is originally Roman. 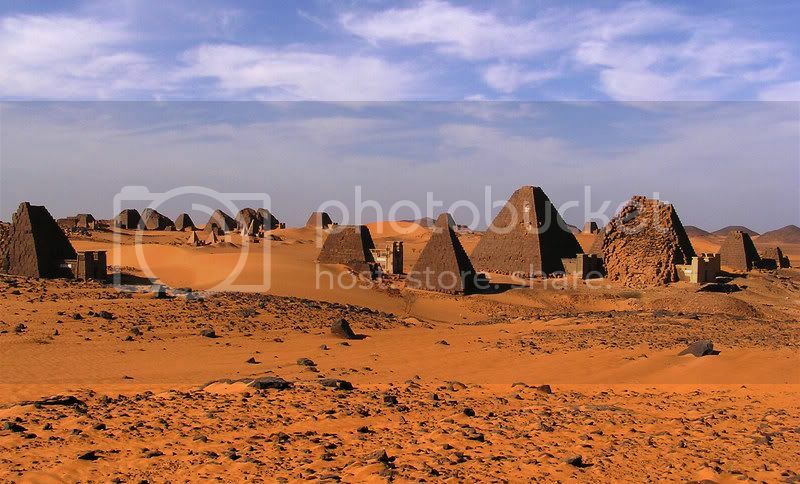 Nile Valley civilisation is based upon the culture of indigenous Africans who concentrated into the Nile from the Western Sahara, northern Sudan, and the Horn of Africa. 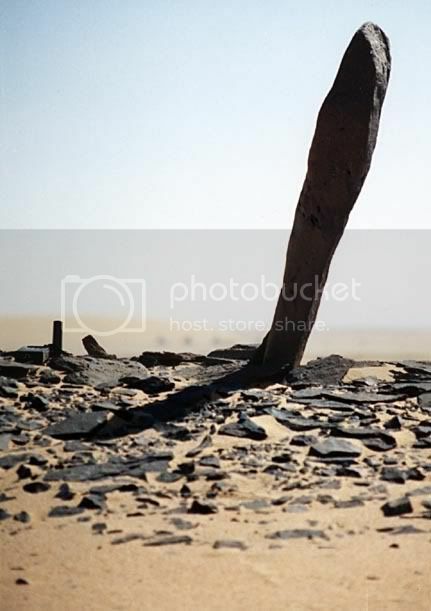 Thus, the oldest examples of mummification come from the southwestern sahara; the oldest example of pharaonic kingship come from Ta-Seti; the oldest examples of heiroglyphic writing from Ta-Seti and Ta-Shemu (Upper Egypt) and are based on the rock art from the once wet sahara dating back to before the Nile Valley was populated. The most meaningful basis of the political boundary of dynastic Kemet is the cataracts of the Nile, which make for a practical administrative boundary, and moreover reflects the practical reality of the greater fertility beneath the first cataract where the nile valley speads out and becomes more fertile. Kemet is where it is because that's where the best agricultural land is. All of these facts are obscured by the current historical dialectic of Egyptology vs. Nubianology. A system which is in some ways, the intellectual/historic discourse equivelant of apartheid. 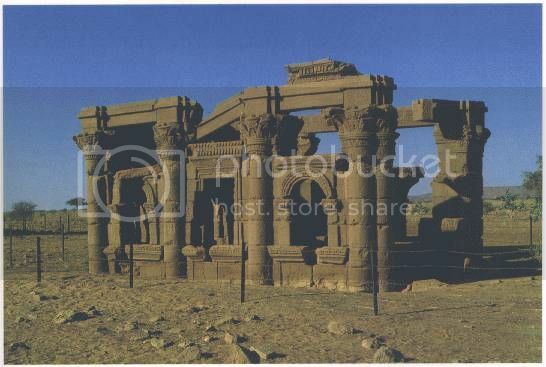 "Nubia" is the contrived Bantustan of Nile Valley history. "Western" Egyptology attempts to say to Africans: "You go play here, and don't cross the line. "; a line of their own creation and serving their agenda, and not an African one. Hopefully African scholars will ultimately reject this chimera. Last edited by Taseti; 26-May-09 at 08:02. I really thought, that this subject-matter would garner discussion. Last edited by Taseti; 27-May-09 at 07:16. The Fellahin in varying hues constitute 60% of Egypt's current population. 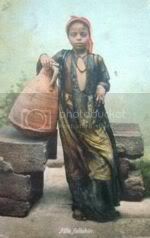 They are the pre-"Arab" population of Egypt. Last edited by Taseti; 27-May-09 at 12:41. This thread stood NO chance against the hype of the football matches. Last edited by Taseti; 28-May-09 at 12:32. 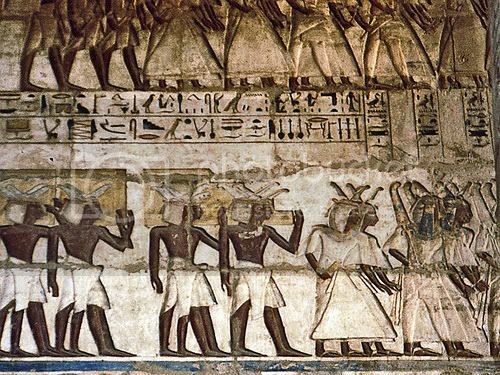 Ta Seti is the Kingdom referenced in the records found at Qustal, which contains the oldest record of kingship lines or dynasties in the world. 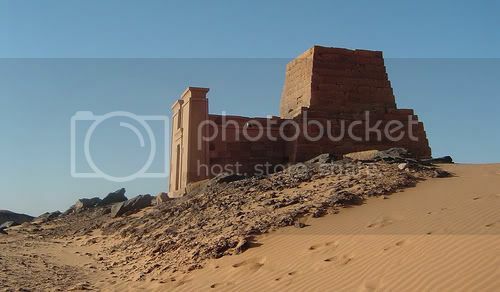 The ancient Egyptians referred to northern Sudan as Ta-Khent-"land of the beginning". A native Kemetic term for Kemetic peoples and places. 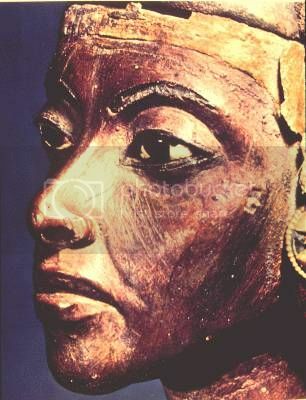 I wonder when people will finally fathom the fact, that the "Nubians" were the Ancient Egyptians. Last edited by Taseti; 29-May-09 at 15:07. 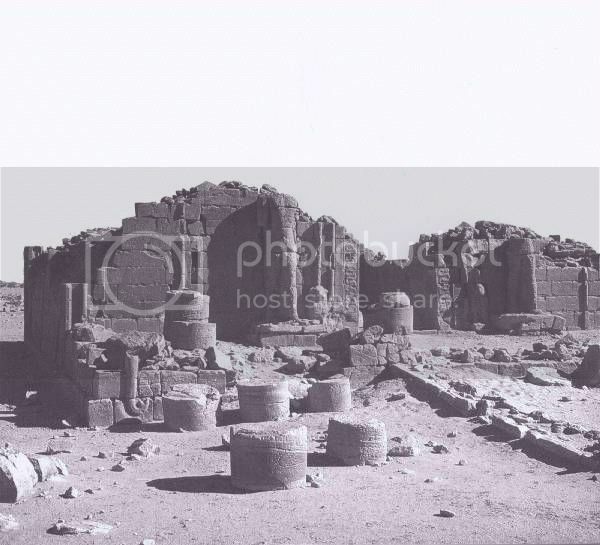 There was an important city in Upper Egypt called "Nubti" or the "Golden City" which was the original "Nubia" and perhaps the only place that the Egyptians designated as "Nubia". "Nubia" [Nubti] references a city in Ta Shemu [Upper Egypt], and never references any kingdom south of Egypt, nor is it equivelant to Ta Seti. Last edited by Taseti; 29-May-09 at 15:18. 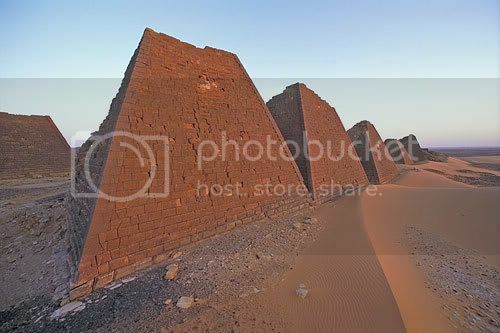 Before the coming of Arabs into northern Africa and horn of Africa in 800 A.D., and ultimately in to Sudan, Egypt had been invaded and conquered by the dark skinned Caucasians (white) of the Middle East in about 25000 – 28000 B. C. It is suggested that the Egyptian pyramids were built by the Negroid race (Africans), but were later used by the new arrival as burry sites for their kings. The reason for building these pyramids were for religious purpose. 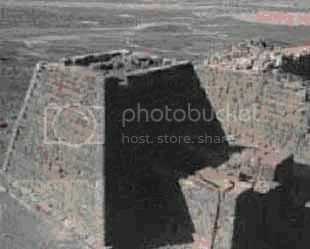 As for Cush kingdom, it was purely a Negroid kingdom that was not defeated, and stayed for years before collapsing later, the ancestors of this kingdom are currently found in southern Sudan, part of Uganda, part of Kenya, part of Nigeria, part of Tanzania, far north of Sudan, and southern Egypt. It was during this time that when the Nilo – Sahara language started separating. Previously, the Nilo - Sahara which was isolated in northern Africa had developed a different language from their brothers in east, central, west, and southern Africa, and Australia, papa New Guinea, Fiji islands and parts of India. Even after this long separation, the Nilo-Saharan and Bantu are still very much similar, except the Austronesia, the language of aboriginal of Australia, and Negritos of India, Fiji Island, and Papa New Guinea. The Austronesia partway with Bantu – Nilo Sahara in about 40 – 60 000 years ago when this group left Africa to populate that region.